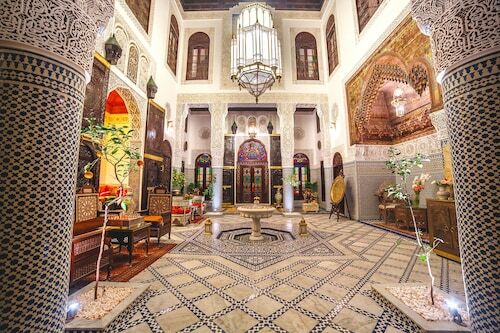 Located in Fes El Bali, this luxury guesthouse is within a 10-minute walk of Der Batha Museum and Blue Gate. Medersa Bou-Inania and Parc Jnane Sbile are also within 1 mi (2 km). 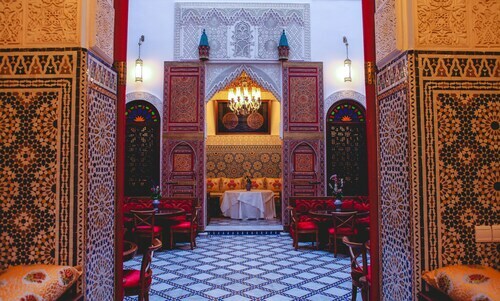 This family-friendly Fes riad is located in the historical district, within a 10-minute walk of Der Batha Museum and Blue Gate. Parc Jnane Sbile and Nejjarin Fondouk are also within 15 minutes. 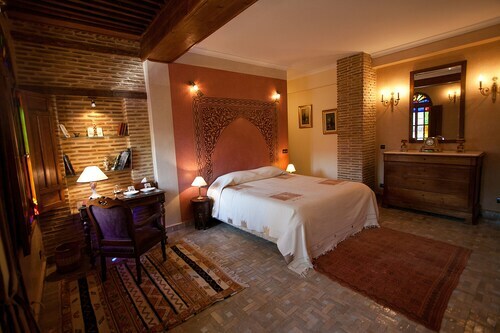 Located in Fes El Bali, this riad is within a 5-minute walk of Medersa Bou-Inania and Blue Gate. Der Batha Museum and Nejjarin Fondouk are also within 10 minutes. 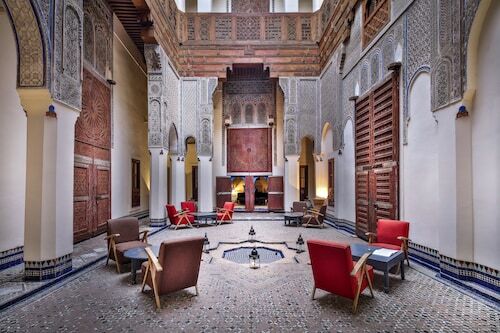 Located in Fes El Bali, this luxury riad is within 1 mi (2 km) of Place R'cif and Blue Gate. University of Al Quaraouiyine and Kairaouine Mosque are also within 15 minutes. 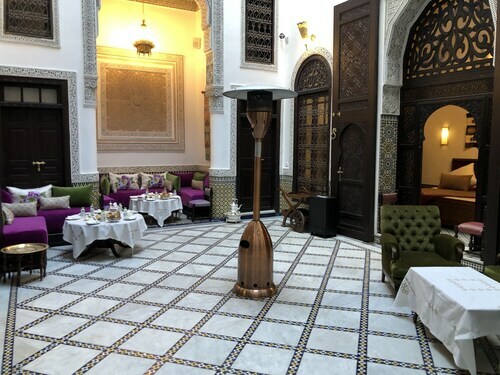 Located in Fes El Bali, this hotel is within 1 mi (2 km) of Place R'cif and Blue Gate. University of Al Quaraouiyine and Kairaouine Mosque are also within 10 minutes. 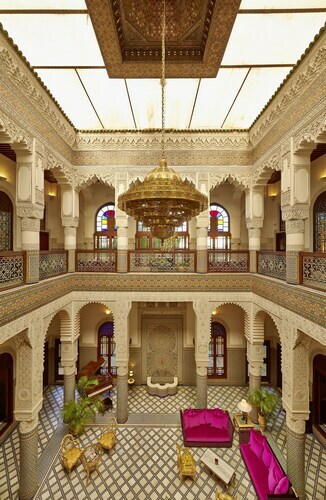 Located in Fes El Bali, this golf riad is within 1 mi (2 km) of Der Batha Museum and Blue Gate. Nejjarin Fondouk and Medersa Bou-Inania are also within 10 minutes. 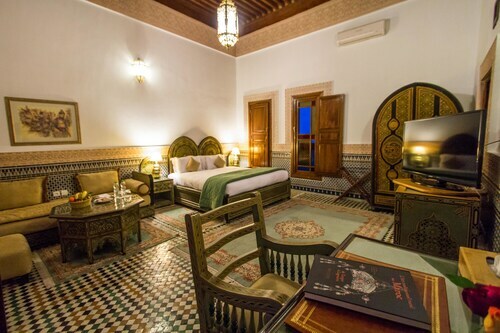 Located in Fes El Bali, this luxury riad is within 1 mi (2 km) of Der Batha Museum and Blue Gate. Medersa Bou-Inania and Nejjarin Fondouk are also within 10 minutes. 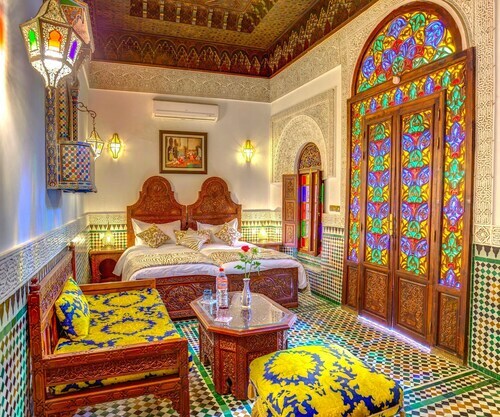 Located in Fes El Bali, this riad is within 1 mi (2 km) of Place R'cif and Blue Gate. University of Al Quaraouiyine and Kairaouine Mosque are also within 10 minutes.